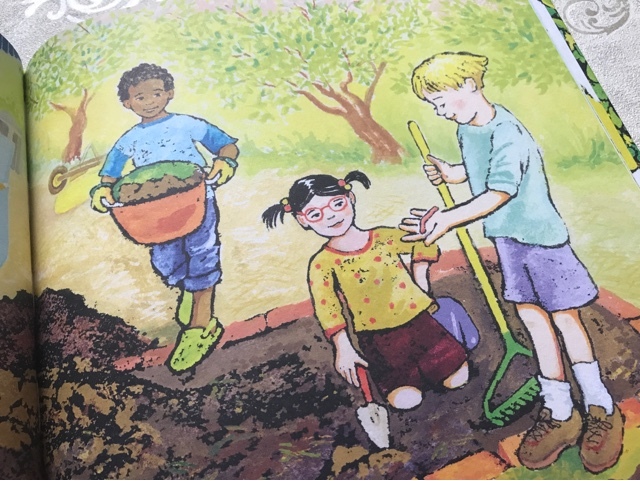 I've recently got into gardening, I mean I'm no expert but I have attempted to grow some things and so far I've managed to keep them alive, so I thought the book The Children's Garden was quite appropriate for my kids to read right now. Down the road from Woodlawn Avenue, on a street called Sunnyside, there's a garden patch grown by children who live in the neighbourhood. A sign on the garden's gate says: Children's Garden, WELCOME! That means: Come in, please. Listen, see, smell, touch - even taste! What I like just looking at the front cover us that the book has a very classic feel to it. The illustrations by Pierr Morgan look as though they could have come from books that I read as a child, somehow making the book more welcoming. 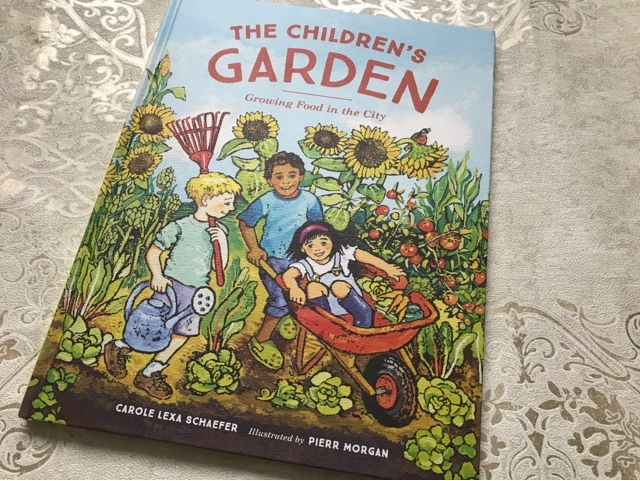 I read the book with my 5 year old first and before even opening it up we were looking at what could be found in the garden, she pointed out the sunflowers, the tomatoes, the carrots and she even spotted the bird that was enjoying the pleasures of the garden too. 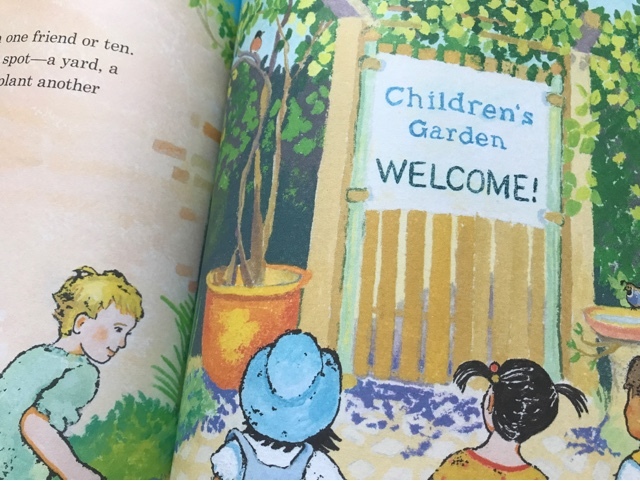 The garden sign saying welcome makes anyone reading the book feel included and the description of listen, see, smell, touch and even taste lets children know that exploring is good, in fact it is encouraged. When I read this part I asked my daughter to look out of our window and tell me what she could see in our garden. She pointed out the shed, the grass, the plants we've been growing and she also spotted a cat walking along our back fence. As the pages are turned we begin to learn a lot more: what tools are needed, techniques used and the effort that goes into creating such beauty outside. For those who perhaps don't have a garden, it shows how plants grow and gives them the inspiration to go and grow something or their own. And it isn't just flowers, it is vegetables and fruits too and also the creatures and insects that like to explore the outdoors as well. 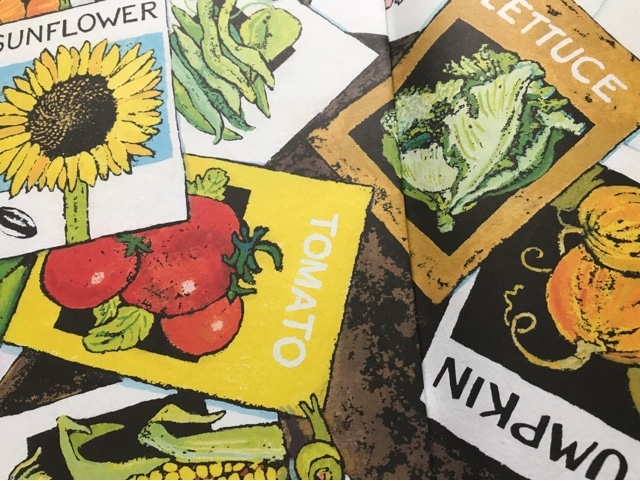 The pictures showing an array of different blooms and colours, snails and butterflies and children each taking on different tasks in the garden. This book isn't just about the words on the page, it is about what can be seen too. I think we spent just as long reading as we did looking at all of the images. The Children's Garden is story that helps little ones to not only learn about gardening but also about team work and the rewards reaped from it. Something that I didn't know until I reached the end of the book was that this garden is a real place in Seattle, Washington. Wouldn't it be lovely to start something like this in all of our communities, like this book the idea is educational, teaching skills and helping children to grow, much like a garden! It looks like a great and I agree, the illustrations are lovely.